Celebrating 30 years in December. Get excited! Throughout the year we've been giving back, building great buildings, winning awards and having a great time in the process. Here's how we finished the year. Sponsored the Feed your radio. Feed a family. 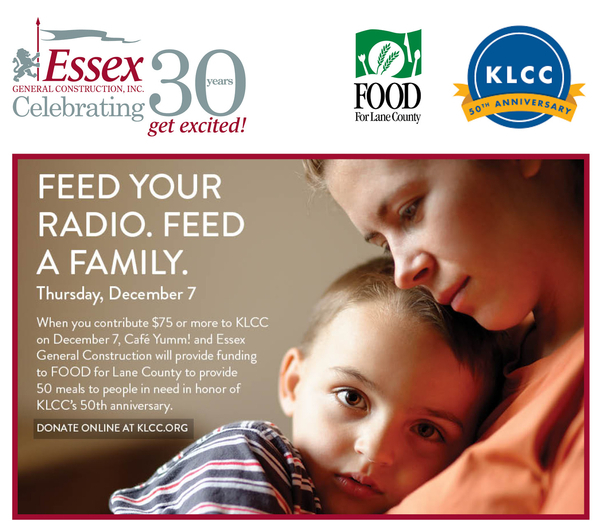 campaign supporting KLCC and FOOD for Lane County. Our project Orchard Crossing achieved a LEED Platinum rating! Two of our projects have won design awards - The Oaks at 14th and 1203 Willamette Street have won the coveted Mayor's Choice Award. Supporting the community, building sustainable and award winning projects. This is how we get excited!